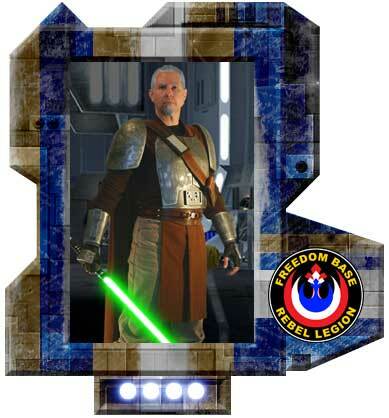 From The Force Unleashed™, the next chapter in the Star Wars saga, this is General Rahm Kota, Jedi mentor to Darth Vader's secret apprentice. Each individual element of this costume was painstakingly reproduced. Each armor piece was sculpted in clay, cast in fiberglass, and hand painted and weathered. Bill did all of the sewing, and designed the boots, belt, bandoleer and lightsaber. 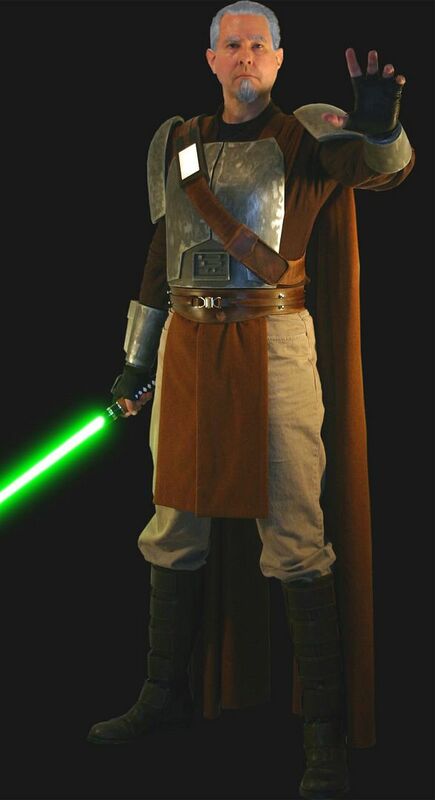 This was his first armored costume project, and took almost nine months to complete. Before building this costume, Bill had never touched clay, plaster or fiberglass resin in his life. 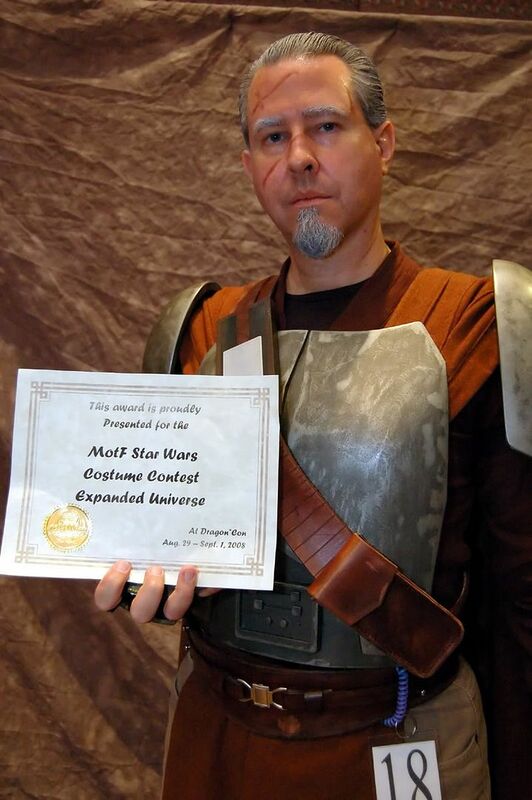 EDIT: This costume awarded Winner, Expanded Universe category, Star Wars Costume Contest - Dragon*Con 2008. Also awarded Best-in-Category, Jedi, Star Wars Celebration VI, August 2012. 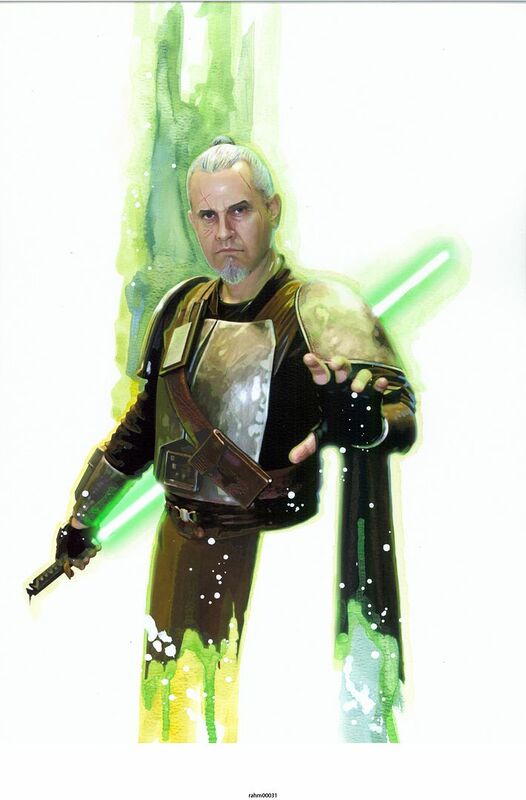 EDIT: This costume selected to represent Rahm Kota in Star Wars: The Essential Reader's Companion, by Pablo Hidalgo, October 2, 2012.